Touted to a pain-filled song, Urime Manase is a perfect example of how a Rockstar would express his love to his loved one. The makers recently released the teaser of Krishnarjuna Yuddham which surely left us asking for more. Nani as a rustic Krishna and contemporary rockstar Arjun have one thing in common, love for girls. 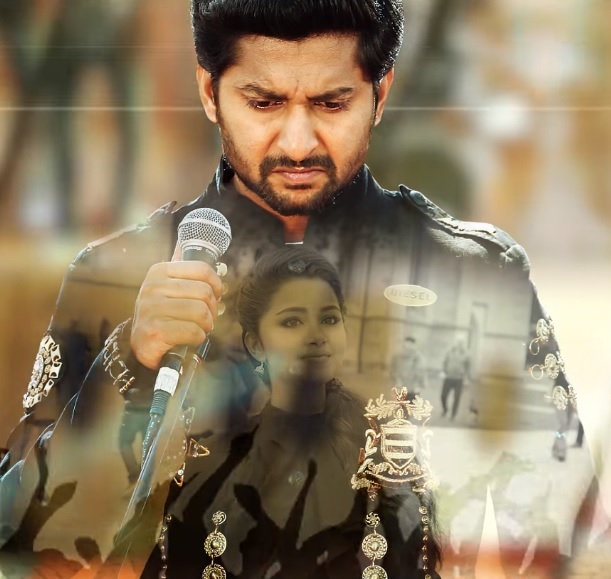 The teaser shows both the characters of Nani talking about girls, but what catches attention is the comic timing of Nani as Krishna which will leave you in splits. Krishnarjuna Yuddham stars Anupama Parameswaran and Rukshar Mir playing the leading ladies, and will be their first time with the Natural Star. Actor Bramhaji will be seen playing an important role in Krishnarjuna Yuddham. The makers are planning to release Krishnarjuna Yuddham in summer this year. Krishnarjuna Yuddham will be the third film for Nani to be playing dual roles. Nani is going through the best phase in his career with back to back hits up his sleeve. The Natural Star produced a film recently, AWE, which is considered to be one of the genre-bending films in Indian cinema.